Fashion lovers nationwide are lucky enough to have TWO wonderful things being released today. The first is the Missoni for Target collection. It’s really awful how much of this collection I want, from sweaters to pillows to coats to espresso cups. My prediction is by time you read this plenty of items will have sold out online or Target.com will have crashed from all the visitors to the site. 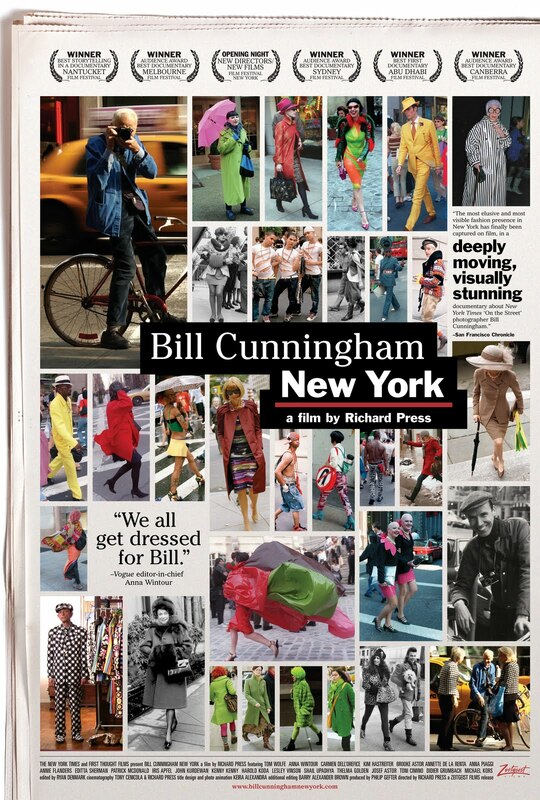 The second release is the DVD of Bill Cunningham New York, the documentary about the beloved street fashion photographer at the New York Times and probably the father of all of us bloggers (one of mine, anyway). You can read my review of the movie here. I’m watching this again as soon as my copy arrives. Here (once more) is a picture I took of Bill working outside of 58th Street and 5th Avenue last Thursday at this year’s Fashion’s Night Out. I hope all of you lovelies will get a chance to see this documentary soon and if you get your hands on some Missoni for Target, do tell what you bought! I adore MIssoni, and what can I tell you about y admiration for Bill. I have to get the DVD. Do let me know what you buy. I also want the DVD...will look to order as soon as I comment!! Thanks for your comment yesterday.....she has on another Prada in my post today!! She didn't want to take them off and the one today fit like it was just for her! I love the fact that you got Bill Cunningham's picture!! I read on twitter that the stores are wiped out and that the server crashed on the Target website from the overload. I guess everyone is crazy about Missoni. I want that DVD. I got to see it in the theatre and LOVED it. Bill's the man! Went to our local Target, very limited selection on the Missoni items, and they said they have not received all the items yet...I was able to get 2 scarves, a pair of ballet flats, a pair of little rain boots and a pair of knit leggings for tiny girl, Miss C. Need to go to a bigger Target and see what they have. This is truly not fashionista land in the suburbs of SE VA so I may have better luck than you all in NYC!!! Your prediction was 100% right with regard to Target. Craziness! Hubby and I actually went out and dropped about $350 on some of what was left in the store to eBay it. There is an insane demand for this stuff! Thank you for the tip about the film! It's in my queue for watching tonight. Meanwhile, I'll avoid Target online and in the stores--craziness! This craziness at target reminds me of the insanity surrounding cabbage patch dolls. hmm stay away. 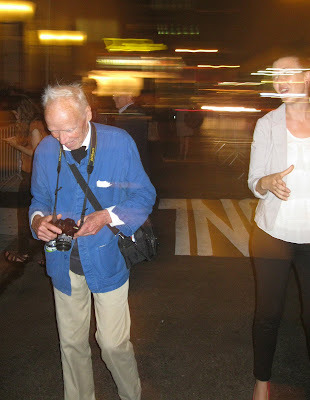 Bill Cunningham now is something easier and more enjoyable! Hi Sacramento, I supposedly have two cardigans, a scarf and a bag coming from the Missoni for Target collection. Since the Target site crashed right after I made my purchase I will be skeptical until a package actually shows up on my doorstep. 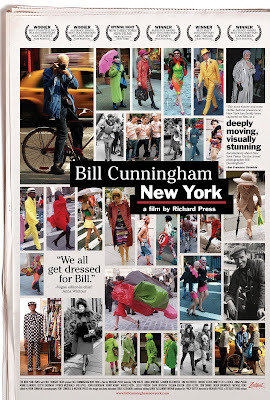 Let me know what you think of the Bill Cunningham movie! I found it so inspiring, I can't wait to see it again. Hi Pam, Eleanor looked so great in those Prada dresses. So jealous! I had to get Bill's picture again this year. I knew I'd be able to find him at 58th and 5th and just as I suspected, there he was. It's a thrill I never get tired of. Bella my dear, I loved what you said on Twitter re the Missoni craze--that it's like everyone will be wearing Charlie Brown's zigzag sweater. I'm so curious if that will be the case! Hi Mom! I hope you go back to your local Target and give another report on what you find. I'm wondering if they will get more Missoni stock and if so, what it will be. Charlotte will love the leggings and boots you bought her. Hi Vahni, how are the Missoni auctions going? I have a couple of extra pieces on order, I can't decide whether to send them back to the store or put them up on eBay. That is, if they show up in the first place. Hi Catherine, did you watch the movie? My copy is supposed to show up this week. I can't wait and I think I will have my husband watch it with me. I think he will enjoy it. Hi Paula, I love that you are bringing up Cabbage Patch dolls, hilarious! Did you already see the Bill Cunningham movie? What did you think? Hi NYC, Style & a little Cannoli, thanks for stopping by. What did you get from the Missoni collection? I hope you write about it on your blog. We should try to go to the Liz Taylor jewelry collection viewing together in December. I'm going to email you about this. I'm so heartbroken we don;t have Target in Ukraine! People seems to buy so many good things there! Hi Marina! You know, I'm still waiting for my Missoni items. Maybe it's for the best you don't have a Target close to you. I may already have Missoni fatigue and I haven't even seen people wearing the stuff around. Yet!